Construction work is one of the most dangerous occupations. Workers on a construction site are at a high risk of being involved in an accident. There are literally thousands of possible dangers on a constructions site. Use of heavy equipment, hazardous chemicals, and quick production schedules creates a high risk environment known for high injury rates. 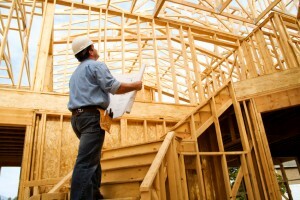 As Santa Monica construction site attorneys, we understand the complexity of these situations. Construction injuries can be due to falls, collapse or cave-in, use of power tools, electrocution, trench accidents, welding accidents or other equipment failure. Even more severe accidents such as fire and explosion are not uncommon. These construction site accidents can cause injuries which range in severity from brain injury or death to strains, sprains, cuts and bruises. For an injured worker, the damage done is not purely physical. Because of these injuries workers often suffer financial loss from missed work during their recovery. Many times a construction site accident is preventable if construction safety is considered. If such an accident occurs due to negligence on the part of the employer, it may be necessary to file a lawsuit. It is not always easy to determine who is responsible for the accident. Construction sites involve many people, including property owners, general contractors, subcontractors, architects, and engineers, all of whom may bear some responsibility for the accident. Equipment manufacturers are also responsible for the safety of the workers while manufacturing or operating their construction equipment. A successful lawsuit can allow the victim to pay his or her medical bills and provide the necessary financial cushion so that he or she may recover from the injury without struggling to make ends meet. A Santa Monica construction site attorney will stand by your side to fight for your right to receive the compensation you deserve. Only a professional construction site lawyer understands the complexity of construction site accidents and can guide you through the process of getting your compensation. To get free advice on legal proceedings related to construction site compensation claims, call us at 310-399-2555. We will handle all the legal details, including filing the case and assisting you during the entire process.